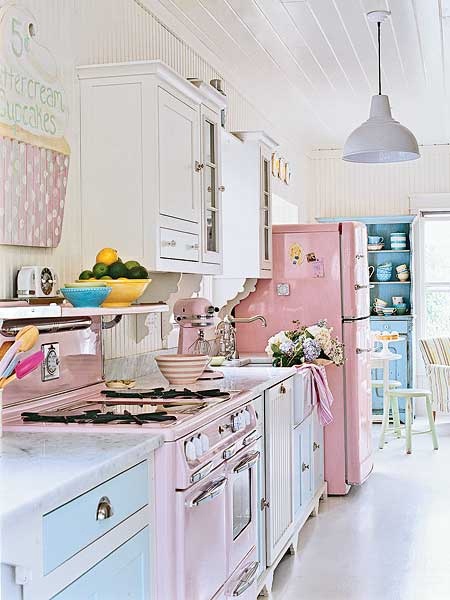 Valentine's Day is quickly approaching, and in honor of the lovely holiday I have some pretty pink interiors for you to go gaga over. 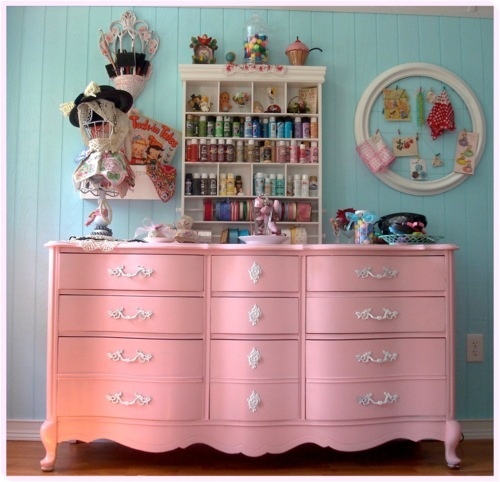 I was never the girl who needed a pink room, I refused to like pink until I was around 20 years old. 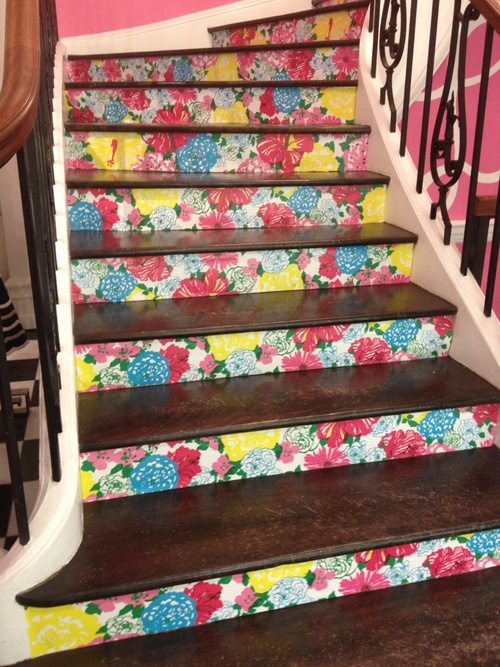 Now that I'm more "grown up" I've fallen in love with all things feminine, floral, and pink. Who am I? 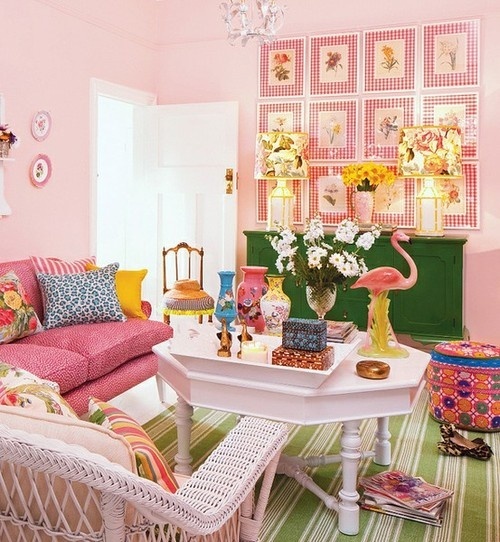 I'm still not sure if I would be brave enough to paint a whole room pink, but these next spaces are surely convincing me. Maybe I'll take baby steps? 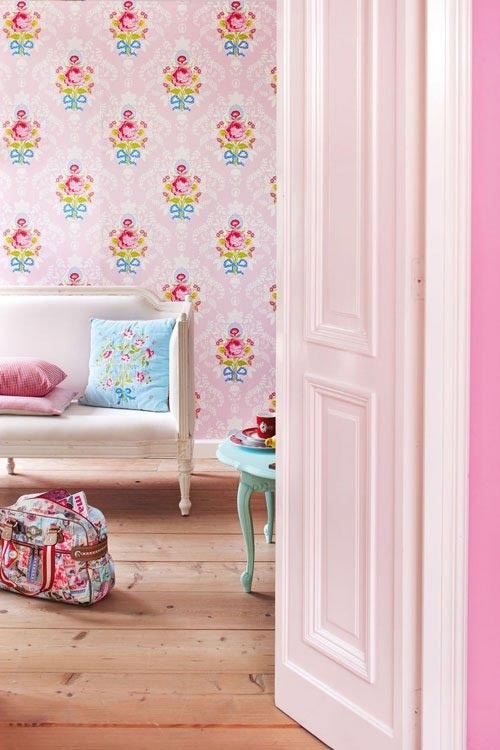 The interiors below offer slight touches of pastel pink to loud pops of hot pink, the perfect shade for everyone! Enjoy! 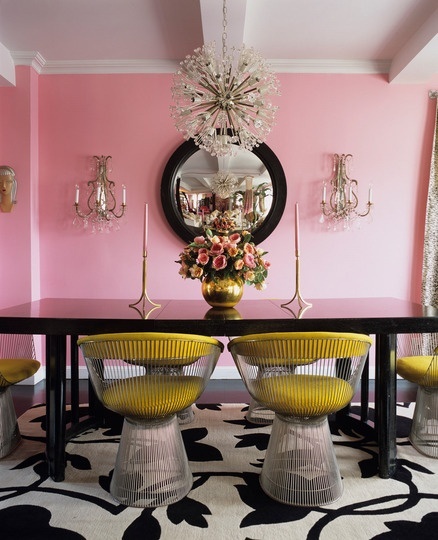 I love that white table with the pink chairs!